As you’ll all probably know by now, the death was announced last week of one of my all-time rugby heroes as Wilf Rosenberg passed away aged 84 in Israel. You’ll also be aware of what his memory means to me, indeed I have adopted his name as a pseudonym to write this drivel for the last 14 years. I did that as a tribute to a bloke who, although he only turned out for us for four seasons, will be remembered for ever by anyone who ever saw him play. For us lucky, lucky guys who saw him perform, his memory lives on. As with Paul Woods, Alf Macklin, Ronnie Wileman, Garry Pearce and a host of other heroes of our back pages as fans, it’s not always the longest serving, highest scoring or internationally acclaimed that are indelibly stamped on our memories, but rather those who were characters, brave beyond the call of duty, massive servants or extraordinary talents that are retained and so it is with Wilf. As the Club sadly didn’t see fit to feature him on their website this week, there’s quite a bit about Wilf in this edition of the Diary and I hope you’ll excuse me for that. As with many of you reading this I’m sure, I’ll always remember him out there on the wing, on damp December afternoons in the gloom of the Boulevard, often 3ft off the ground flying towards the try line. It’s now almost 56 years since he last played for Hull FC and perhaps I was an impressionable youth, perhaps time distorts and sugar coats our memories, perhaps I’m just a silly old fart, but when, for the umpteenth time again last week, I saw that (only existing) grainy footage of him on YouTube playing for Leeds, it brought it all back again. From the correspondence I have received from those who, like me, saw Wilf play, it would appear that I’m certainly not the only silly old fart about either!!! But more of Wilf later and I know in the present day we are always told that you can’t place much weight on friendlies, but I’m not so sure however I’m glad they are over now, but the game at Saints was to be the ultimate test of our credentials before the season was upon us. It was our last chance to decide who best fitted where, in our starting line-up. The youngsters looked good at Donny, the team were pretty good at Wakey, but on Saturday instead of a progression it was back to the future stuff. I don’t want to over react and perhaps in two-week’s time you will all be laughing at me, but watching Saturdays game we looked to be playing as we did last year with us adopting a power game, without the size of players to carry it out. What’s more we have to learn to keep hold of the ball and cut out the infringements, because Saints absolutely did us for possession all afternoon. If the basics of Rugby League are all about valuing possession, getting to the end of your set and producing a good kick, perhaps we need to go back to basics a bit in the next 11 days. The fact is it was always going to be tough in this one and the first thing everyone noticed was that Mickey Paea was out with what we found out afterwards was a slight neck strain. From the kick off we got caught out in the first set, with Tuimavave going blindside and getting dragged into touch, which, in many ways, set the pattern for the afternoon. Dropped balls ensured Saints were allowed to monopolised the early possession and they showed more penetration wide out and more yardage down the middle. However, luckily they lost the ball a couple of times themselves too, whilst in the early stages Sneyd looked sharp for us! Then Saints looked to have scored, only for Connor to brilliantly hold Walmsley up. Again as last week it looked like we could get down field towards their line, but then we had difficulty hanging onto the ball to get over it. We were really trying, perhaps too hard but and the half wore on we had the necessary possession, but we lost it too regularly. We also looked to be up against a Saints team that were sound on defence and most of all much more patient and structured in their approach than us, even though at times they looked a bit ring rusty with the ball, in what was their first and only Friendly game. Then just as we looked to have weathered the storm, a stupid penalty for a high tackle by Faraimo saw the hosts charge downfield to open the scoring, while Connor was sin binned for ‘chatting’ to the referee. Such an over-reaction from an official, in what was in the end only a Friendly game, but there you go I guess! Short-handed we looked to be stretched as Saints piled on the pressure and moved the ball from side to side, but Ratu, straight off the bench, knocked the ball out of Lomax’s hand and did the same a minute later with a crunching tackle that freed the ball again. However, Sneyd then got involved in the line, we showed real urgency and somehow Tumavive produced amazing strength to force himself over and we were on the board. But then infuriatingly, on the restart, we gave up possession as we let the ball bounce dead which even in a friendly is unforgiveable straight after a try and that old problem of buggering it up just after we had scored struck again. As the interchanges started, Makinson scored in the corner on the back of our drop out and it was 10-6, with 30 minutes gone. We just got the ball back before what was a largely ineffective Dawson-Jones dropped it again and possession went back to the Saints for Makinson to do us once more wide out. It was poor, poor play by Hull FC, you just can’t give ball away like that against a team like Saints! The hosts pressed and pressed and Grace was forced into touch by Ratu who was having a great half answering those critics of his defence. We were now struggling to get to the end of our sets and right on half time Grace went in again after another knock on and as half time came we looked pretty ordinary trailing by 18-6 which could easily have been 24-6 had they kicked their conversions. With 4 tries all off the back of our mistakes, they were playing their first game and still they looked so much crisper and direct than us. The second half started with changes a plenty but our first set ended with a Shaul kick which was a bit of a mess; what exactly was he doing with the ball on the sixth tackle? Then Connor had an altercation with Coote and there was a real melee, which ended with the referee giving Jake a lecture and Saints yet another needless penalty. Back they came but Shaul defused their bombs, twice and on both occasion’s just in time. Saints had a few youngsters on the field and we tried to run them around a bit, but a string of end of set ‘up and unders’ were too predictable. Coote swept them up time and again at the back, as we looked pretty devoid of any alternatives to either kicks to the corner or barging our way through. But at least we were getting to the end of our sets and getting a kick in! Just as we were securing a bit of a foothold, Shaul got caught in goal and the Saints pressure was back on again, as we kept giving them the ball back with mistakes, dropouts and penalties they thrived on the ball they were presented with and Swift swept in at the corner, as our left side opened up again like the Red Sea. We continued to make mistakes and after another knock on Smith dived in. At 28-6 we we were well beaten, we couldn’t get into their quarter whilst as we continually turned the ball over they had seemed to be able to score at will. But we didn’t give up and at last a mistake saw us down there on the Saints line, but Connor sent a shocking pass into touch and the chance was lost. Again we had to drop out as Saints turned the screw and we certainly got plenty of tackling training in before Miloudi did brilliantly to get the ball out of in goal area; he deserves a start on the wing but I doubt he’ll get one! However, a great kick got Shaul in, as he climbed above the defence to catch the ball and at last we had a try. We looked better the minute Sneyd returned and he certainly fired us up and organised us a bit, before Thompson got the ball in a good position and dropped it again!! What a disappointment it all was at times in a half that was now meandering to a close. Still we handed the ball back to Saints and it was down to Ratu to save our skins again with a tackle as he bundled their winger into touch, before he grabbed the ball broke and ended up in touch himself. It was that sort of afternoon, but in fairness he looks good enough to get a contract. So again it was an afternoon that posed more questions than answers really and even a late barge over try from Faraimo to make the score more respectable couldn’t hide the fact that we were pretty shoddy in our last warm up game and watching all three pre-season hit outs we seem to have got worse rather than better. It’s early days and who know they might just run out in 11 days-time and surprise us but, we’ll have to be a lot better at Caravan Park than we were on Saturday, and no mistake!! As for the shot clock well it certainly seemed to speed things up and there was an air of ‘hurry up’ around the scrums, I think it will benefit us in those games were in the past teams have tried to slow us down to play at their pace. Of course we haven’t experienced 8 substitutions yet, which will no doubt be the biggest challenge this year. So the countdown to the first game is on and we will have an idea who will be up for selection and what our starting 17 will be at the Dobbins later this week. I know it was only a friendly and I know we do look fitter this year, but boy on that showing there’s still some work to do!! Keep smiling!! The men at the top who are running Hull FC will say that I’m being negative, but I still feel that the best idea of how we will start the season is dictated by which of our core starting 17 are fit to turn out. Starting the season with so many questions over player fitness has to be an issue doesn’t it? Let’s face it, we finished last time around with a lot missing and look what happened there. So, it’s perfectly reasonable, I think, for any ordinary fan to presume that a good start is dependent on having our senior players back and ‘the influencers’ in the team fit. Firstly, we were told back in November that Bowden and Green would be out for the first match, then they were joined by Joe Westerman and Talanoa, while Micky Paea must be doubtful too at this point in the build-up. Then this week we were told that both Sneyd and Griffin would be fit for the first game, providing they came through this weekend, but they only came back to full training last Monday!! Furthermore, Sneyd was far from confident when he told the Yorkshire Post last Thursday, “I’ve not been doing the full training, but just getting myself right and, hopefully, I’ll be ready for the start. We’ve not put a timescale on it, though. The last time we did that I ended up rushing it a little bit”. In the end he seemed to come through unscathed but he must be a way off peak fitness just the same!! In addition, Albert Kelly was sporting a sling last week and could he says be out for weeks, whilst Fash and Nzoungou were doubtful but played on Saturday after receiving treatment. Forgotten man Bienek is still a way off returning as well and we just had to hope that we stayed injury free at Saints and thankfully we did. OK, there’s still 11 days to go and we have the biggest and deepest squad we have probably ever seen in the Super League era, but it’s a Derby and so there is a lot more at stake than just the two points. You’ll say there isn’t, but in our heart of hearts we all know there is! In a worse placed scenario, we could be starting with 6 or 7 of our ideal starting 17 out. At best it looks like being 5 and although I’m the loyalist of fans and indeed always believe we can win every game, even for me that’s a bit of a concern at this point in the proceedings. As for Fetuli Talanoa well no one can really find much out as to how his ‘phantom’ knee injury is doing. He was featured in a picture at training in Fridays Mail and there was a statement from Lee about him being unfit at present, probably in response to the rumours that are going around, but is that right? Prior to that he was described in the same paper simply as ‘Listed as injured’, so who knows? Rumours abound, some hopefully wide of the mark, but nothing is really known about the situation, the club have tried to put it to bed and so we will just have to wait and see how Fetuli progresses I guess! Now, as I always say about this weekly guff, I can’t put my personal thoughts and concerns into words every week without expecting to get a response and last week’s state of the RFL meanderings in here, certainly got one!! There was a lot of nodding in agreement with its sentiments and people like Danny J, Harry Russell, Alec, Ian and Aidan and several other thought that much of what I said rang a bell with them. Some, like regular correspondence Alec were still upset that there is still not enough thought put into the fixture list and how they impact on the fans. But let’s face it, on the subject of the failings of the RL one could go on forever. Others, including some on RL fans, cited the fact that I had excluded what one described as the ‘Elephant in the Room’ and pointing towards our referee’s and their failings being an important factor in the decline of the British game. Of course they are spot on! Refereeing’s not an easy job, we all know that, but I overlooked them simply because they are indeed, ‘the Elephant in the room’ and we all ignore them, perhaps because we just accept that they are an unfortunate irritant that you just have to live with. That’s why I supported the introduction of two officials, because surely that will improve things a bit? However, that’s now something that has been delayed a year since it was revealed that we don’t have enough officials that are competent to take on the role. Competence and referee’s in the same sentence, that’s a novelty! It is however something that has, sooner or later, to be looked at closely if the game is to survive, as is the need for more transparency in the disciplinary process that supports the calls the official has made on the field; so the off field judiciary needs an over-haul too. Few defend referee’s anymore, for they are universally considered to be poor. They are just viewed by many as a necessary evil but, all the same, something needs to be seen to be done about them, because in the rationale of just about every fan of the game, they have lost their credibility and can now no longer do right for doing wrong. Even when they get it right, so bad is their reputation that they are not believed. In short their trustworthiness is shot. They have of course brought that on themselves, through their inconsistency and even at times their apparent arrogance. These days, by and large, they are totally anonymous, operate in a vacuum and are simply unaccountable. What other sport needs an ex referee in the commentary box to explain the on field official’s decisions? Officials have always been the bad guys. Win and they go un-noticed lose and its always been their fault. But years ago there was a modicum of accountability about them because after the game they were interviewed by the media about their decisions and they had to face up. Often they admitted that in the heat of the moment they got it wrong, or in hindsight they would have done differently and often as well, when they thought they got it right, they would defend their decisions. There were no action replays or endless reviews in the commentary box and so we would be aggrieved, but we’d move on, because at least we’d have heard from the referee himself as the media was given the chance to ask the questions we were all asking. However, these days any controversy is met with a wall of absolute silence and even the Coaches and owners can’t speak about decisions without being in hot water. The officials are simply untouchable and until they are more accessible and have some of their amazingly unfathomable decisions questioned, nothing will change. When the referee’s administrator is challenged by the media and the fans, he rarely responds and when so loud are the protestations that he has to reply, there is always an air of arrogance and ‘we know best, what the hell do you know’ surrounding his retorts. Fact is, we have just been worn down and we just sit there watching the greatest game in the world and accept that poor refereeing is the part of it. It’s the same with the disciplinary panel. Fans sit there incredulously scratching their heads at the inconsistency that exists from offence to offence and player to player. Some even think that the ability to take an early plea and get a reduced sentence is a cop out to minimalise the controversy that surrounds this process, but at least four or five times a year it blows up in our faces. The owners, the fans, the coaches and the media are in disbelief, so much so that the panels inconsistency has again become something we just shrug our shoulders at and accept. No one goes there to defend themselves as a player or a club with any knowledge whatsoever as to how the outcome will pan out from one decision to the next. The selection of the panel from week to week is ad hock and sometimes includes retired personal linked with the offending club or even worse, with their bitterest rivals or the club they are playing the following week on whom any suspension impacts. That’s not doubting their integrity but rather the lack of clarity within the system. Perhaps the panel should be made up of retired officials rather than ex-players and luminaries from the game, because the current set up, engenders thoughts of bias and is not transparent at all. What’s more the occasional ludicrous decision, leads to widespread conspiracy theories with both the fans and the clubs involved. For the game to come back again as a respected national sport that is credible as far as its fans are concerned, we have to rid it of such anomalies, justice doesn’t just need to be done, it needs to be seen to be done on the field and off it. Although incidences of massively bad decisions either on the field or with the panel don’t happen that often, all the other ‘safe’ or ‘good’ decisions become suspect in the minds of the on-looking fans because they are judged by those bad ones. The real clangers are the ones that are remembered and that erode any credibility our officials and disciplinary system have. Fact is, the stereotypes of ‘The refereeing Mafia’ and the ‘Bent’ Disciplinary panel are ingrained in the sport and won’t go away easily now. Firm and perhaps radical solutions are needed to get the trust back. Those ain’t necessarily just my views, but they are the opinions of dozens and dozens of fans I speak to. For me, a major shake-up is needed to somehow make us all believe that referee’s will be accountable to the customers for their actions. Then we can at least make the first steps to starting to get some confidence and credibility back with our officials and the procedures that surround them. I believe myself that if the Super League Clubs want to improve on the image and credibility of the game, that has to be sorted as a priority. So back again to the sad, sad demise of a hero and the death of Wilf Rosenberg this week. Wilf was an enigma make no mistake about that! He came from a staunch Rugby Union background and played for the touring Springboks team where he was known as ‘The Gazelle’. He switched codes to join Leeds in 1959 before he moved to play for us for two part and two full seasons from 1961-64. He touched down 42 times in 86 appearances for the FC, before returning to South Africa in 1964. As a lad of 11 who had just passed his scholarship and moved on from Chiltern Street School, I was ‘an impressionable youth’. No doubt too, with no Captain Marvels, Iron Men or Wolverines to worship, we had to find our heroes in other places. Wilf Rosenberg was my first real ‘action hero’. 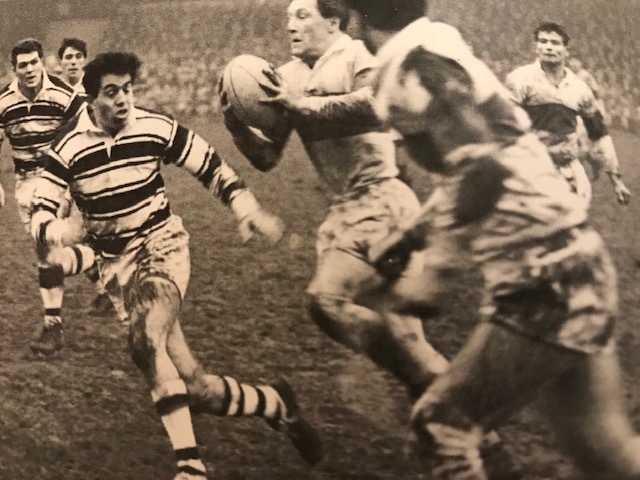 It was a tough time for Hull FC when, with little money and a once brilliant team that had all got old at the same time, he made his debut on Saturday 9th December 1961 in a game I will feature in a moment. But rest assured he was, for his size, one of the most courageous and brave players I have ever seen. Once out there on the field however, the Dentist was ‘lightening’ fast. His most memorable feature was the fact that whether he was being pursued or not, he would always take off about four yards out and perform the most spectacular of diving finishes anyone had ever seen. The acrobatics of modern wingers at the corner flag are accepted as part and parcel of the game these days, but they are no new innovation, because back in the 60’s in a time when most wingers put the ball down and scurried away to avoid the pursuing tacklers, Wilf was different. In the encircling gloom of a winter Saturday afternoon, a knot of cameramen would crouch with flash bulbs ready to try and capture him flying horizontal to the ground, about three foot in the air and as he dived into the corner, the flash bulbs popped as once again he gave Arthur Keegan another tough conversion to attempt! 3ft off the ground 4 yards out? People don’t believe me! I can see him now running up the touchline towards bunkers hill head back, legs pumping, with his pursuers giving up on the race and his gum shield stuck out of his mouth. He regularly ran 80 and 90 yards to score hugging the touch line as he went, what a player he was and what a legend those dives made him. 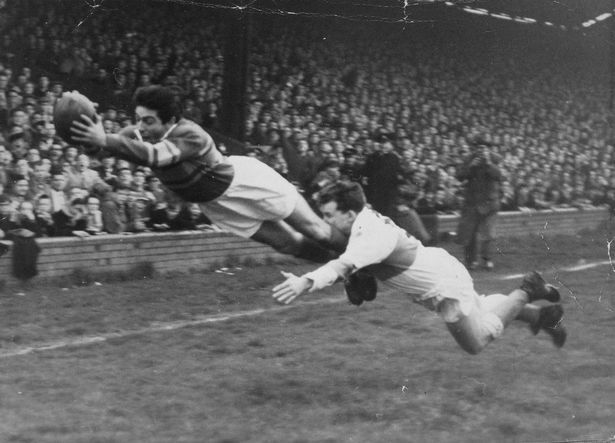 Long before we marvelled at Superman and Spiderman flying through the miracle of CGI, at Hull FC his bloke was doing it for real! As you all know I have carried his name on my replica shirts and used it to write about the team he played for over many years. His death is a real milestone moment for me and it was a sad day for Rugby League as well. That bearing of his name on my shirt (in the early 2000’s when the letters weren’t so expensive at the club shop I had Rosenberg across the back of my shirt, but latterly as the cost escalated that has been shortened to Wilf) brought back an interesting encounter I had in 2005 and an unexpected meeting at the 2005 Cardiff Cup Final. I’ll let ‘Roamin’ Book One take up the story …..
“During the half time break I didn’t know what to do with myself. I wandered around aimlessly before being approached, in a refreshment area, by a guy I had never seen before in my life. Sporting a Hull scarf, a steaming cup of coffee and speaking in a broad South African accent, he asked me if the Rosenberg which was emblazoned across the back of my shirt, was my name. I replied that it was actually the name of my first FC hero, Wilf Rosenberg. He immediately shook my hand and introduced himself as Wilf’s nephew, who had made the trip over from South Africa to watch the game. I lament to this day the fact that I didn’t speak longer with him, but my anxious condition dictated that I didn’t want to speak to anyone, and yet ever afterwards one of my only regrets from that wonderful day, was that I didn’t get a contact number. It did however bring a strange symmetry to the story of my RL supporting life as an echo from the very earliest parts of my sojourn came back out of the blue right there under the East Stand of the Millennium Stadium, on what was to be such a significant day in the recent history of our Club. This week I make no excuse about featuring a piece again for the third time in the 13 years this stuff has been going, from the first book, featuring Wilf debut game. One dark December day in 1961 the news broke in the Hull Daily Mail that Hull had put in an audacious bid for the Leeds star Wilf Rosenberg, or as he was widely known in the West Riding, “The Flying Dentist”. Dad brought the paper into number 23 that night and immediately called me away from ‘The Lone Ranger’ and into the kitchen as he spread The Hull Daily Mail on the table, sending the carefully arranged knives and forks crashing to the floor. He turned the paper to the back page and announced triumphantly, “Look at that Son, now he is a great player”. The ‘flyer’ from South Africa had signed! I was so excited and couldn’t wait for his first home game that weekend against Bramley. On the days leading up to the game I desperately needed to find more out about this new ‘Star’ until in desperation I resorted to asking our Physics teacher Mr Bell, who hailed from Hunslet (but supported Leeds) just what he knew about ‘The Flying Dentist’. I stopped him in the lab at school before General Science that Wednesday morning and he willingly related all that I needed to know to ensure that, for me, a hero was about to come into my life. ‘Belly’ went on to tell me that Wilf was a real ‘old fashioned’ touchline hugging winger, whose speciality was to end his runs with a spectacular dive as he crossed the line. He also said that a lot of the Leeds fans over in the West Riding were ‘Up in arms’ about his leaving and added that he was amazed that Hull FC had secured such a sensational player to move over to the Boulevard at all. 27th March 1964 Wilf chases down John Moore of Hull KR with Geoff Stocks behind watching the action. I simply couldn’t wait for Saturday to come. I ducked out of homework on a frosty Thursday night and went with a few of my pals to Madeley Street baths to see if I could catch a glimpse of Wilf at training. Sadly, once we got there, and watched the players going into the building it was hard to decide whether he was there or not. One of my mates Steve said, “They all look the same with their clothes on” which I guess summed it up really. Come Saturday well over a thousand more spectators than usual turned up at the Boulevard, as Jenksey, Steve Dyson and I watched the game from our most recently adopted vantage point, in front of the Threepenny Stand, laid on the roof of the home teams trainers hut. Laying prone on the ash-felt roof it was a great view, although you had to keep quiet or the coaching staff would pop their heads over the roof and tell you to ‘Clear off’. For games to be an occasion back then I had to wear my home knitted scarf, have Crimlis’s chips and scraps for dinner, meet my pals on the car park and watch from that unusual vantage point. The Hull’s team that kicked off at 2-30 (no lights) that afternoon saw Terry Hollingdrake missing because of a leg injury and as that made us short of backs, Loose Forward and Captain Johnny Whiteley played in the centre for one of the few times in his career. There was another surprise in store though, because on our wing was a rare sight in those days, a black man. It was a really unusual for us all to see this lean, fit muscular black guy, legs glistening with embrocation, running out of the tunnel to take up his place in front of us. Looking on the team sheet in the programme he was down as A.N.Other, which seemed a really strange name for anyone, let alone a rugby player. He was we thought probably a “Trialist”, ‘moonlighting’, from Rugby Union. Back then if you were found playing League by the other code’s authorities your career was over, so aspiring converts reverted to pseudonyms such as A.N. Other, S.O. Else, Winger, Trialist and even, A. Newman. In fact, when international sprinter Berwyn Jones who was probably the fastest man in the country at the time, had a trial for Wakefield in 1964, because he had already played Union, he was given the rather ironic alias of ’Walker’. No one in the Boulevard that afternoon had to wait long for some action because the first time that Mr. Other got possession of the ball he was off down the field at great pace and it took a brilliant last ditch crash tackle by Wilson the Bramley full back to stop him from scoring with his first involvement in the game. Then, the moment we had been waiting for arrived as Wilf at last got in on the action. Scooping up a loose ball about fifteen meters from his own line, he set off down the field, ‘hugging’ the whitewash that denoted the right touch line. As he passed level with us scorching down the far Best Stand side, everyone from the trainer’s benches in front of us was on their feet. He looked like he would go into touch at any minute, (just as Hollingdrake seemed to do every week) but he handed away three potential tacklers as they fell away behind him in a thrilling dash to the line. Then, from what seemed like at least five yards out, with just one player left in pursuit, he took off for that famous dive Mr Bell had described so graphically amongst the gas taps and test tubes. Rosenberg literally flew over the line parallel with the ground to complete his first touchdown for the club, much to the pleasure of the posse of photographers eagerly waiting behind the dead ball line. As their flash bulbs lit up the dull afternoon, for this fan a star was born. 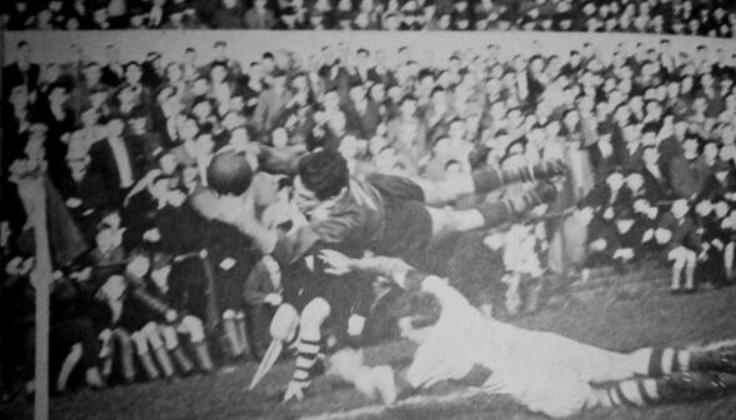 That try and dive will stay in my memory forever, and I was not on my own because one of those photographs even featured in a couple of Rugby League annuals that Christmas!! Wilf scored 2 tries on his debut, whilst the trialist Winger A.N. Other scored three, the last one a magnificent 50 yarder that saw the coaches and bench officials in front of us, from both clubs, applauding the effort, and so, almost as an aside, we won the game 29-9. It wasn’t all about our wingers though because impromptu centre Whiteley, had a great game that afternoon too, he even supplied the passes for one of Rosenberg’s and two of the trialist wingers tries. As we sang “Old Faithful” with the rest of the ‘Threepennies’ at the end of the game, little did we all know that we had just witnessed the debut of a guy who was to become for everyone who was there that day a real enigma. All the next week as we, as kids, played rugby on the bombed buildings in Airlie Street there was an argument as to who was going to be Wilf Rosenberg, as the signing captured everyone’s imaginations. I remember just two games later after a freezing cold Christmas that saw most matches in the league cancelled, we played Bradford Northern. In that match the scoring roles were reversed, with Rosenberg crossing for three tries and ‘Sully’ scoring two. That day, we won a famous and unlikely victory by 30-6, in front of 7000 hardy fans who braved the elements, as the West of the City of Hull began to warm to these two flying wingers that were starting to set the Boulevard alight. As young supporters we loved it. In the remaining half of the season Sullivan and Rosenberg terrorised defences scoring 28 tries between them! 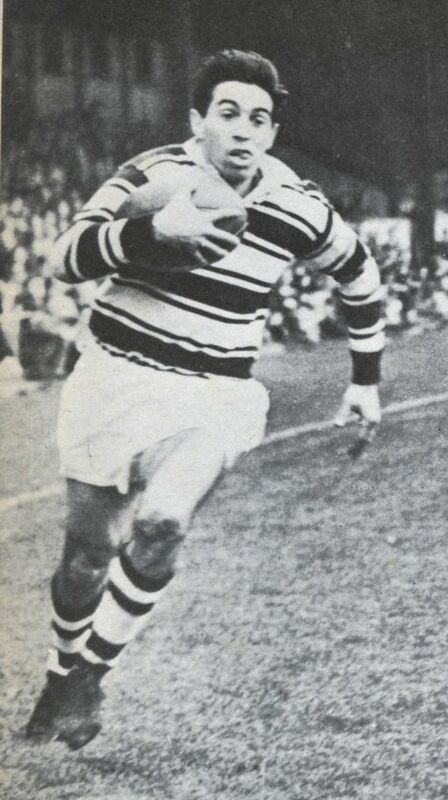 Thus began an era, which was one that few in Rugby League will ever forget, ‘The Sullivan Years!’ But for me, good as Clive was it was Wilf’s exploits that were to thrill me for the next three seasons. I love doing this rubbish every week but there have been times when I have wondered about continuing it and that usually comes around when I consider the rambling of other bloggers on subjects like Brexit, global warming, Women’s rights veganism etc. because all these types seem to do nothing but rant at their readers in an attempt to batter them into agreeing. It seems to be the way of the world these days doesn’t it? Everyone is an expert and think they know it all, but I try really hard to just put my thoughts out there because I certainly don’t ever want to sound like that, it gives all bloggers a bad name and with me nothing is further from the truth. This weekly drivel is just me, an ordinary fan, talking about the things that worry me, please me and interest me and nothing pleases me more than when people disagree and challenge my thoughts because that’s what it is all about. 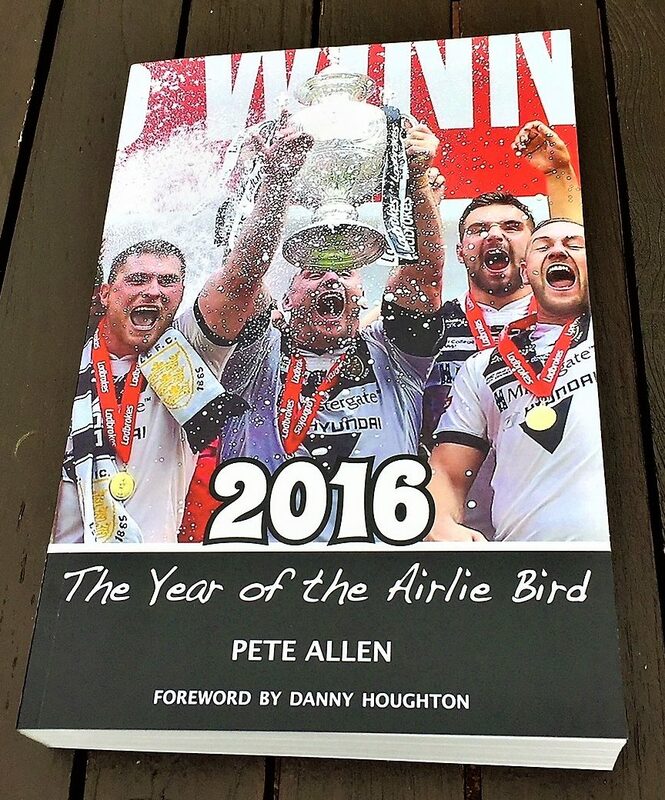 In the end it’s all about opinions and I’ve no real agendas except a love for my team and the game of Rugby League. So if I’ve gone on about the state of the sport the RFL and this week the referee’s a bit, I apologise, but those things really do upset and indeed concern me. While I’m in apologetic mood I’m also sorry to go on a bit about Wilf this week but that guy has lived in my memory since 1961 and he will till the day I die. They say that you can read nothing into pre-season games but I have to tend to disagree there, because remember the drubbing of the Dobbins before the 2016 season started, that was the harbinger of a great season and too often at the FC poor pre seasons have been the precursor of sketchy campaigns. Let’s hope I’m wrong eh? Next week all being well I’ll have my annual pre-season look at the state of our club on and off the field and how I think we are doing as a business, a sports club and a playing group. In the mean-time thanks for sticking with another Diary and for all your correspondence particularly about Mr. Rosenberg. The team has a lot to do in the next 11 days but in the mean-time …..